From his descendents, his grandson Makhdoom Muhammad Ibrahim Thattvi (1162-1225 AH) son of Makhdoom Abdul-Latif son of Makhdoom Hashim was one of the leading Sufi shaykhs in Sindh. 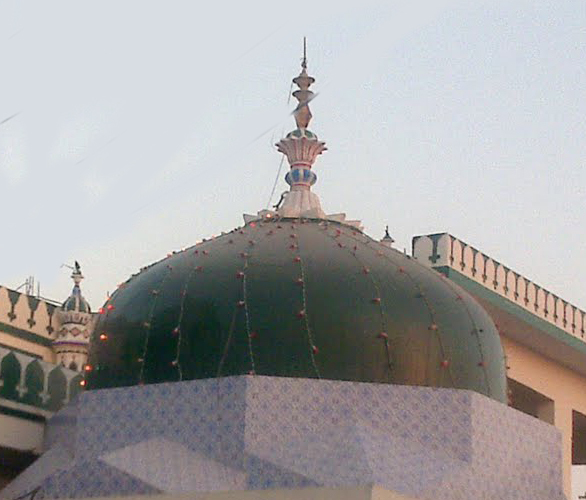 He belonged to the Naqshbandi tradition and is one of the famous saints of Sindh. He was a great scholar as well and an author of many books. He travelled very much specially in the Arabian lands, and was a master of Arabic language. One of his books is available online in the form of manuscript. See at the end for a list of his book. Arabic: (درهم الصرة في وضع اليدين تحت السرة), written in 1137 AH. Arabic: (ترصيع الدرة على درهم الصرة), writte in 1137 AH. Arabic: (معيار النقاد في تمييز المغشوش عن الجياد), writte in Jamada al-Awwal 1137 AH. Arabic: (الحجة القوية في الرد على من قدح في الحافظ ابن تيمية), about Fiqh, a Radd against the book of Makhdoom Mueen Thattvi in which he criticed Ibn Taymiyya and proved some Shiite beliefs to be of Ahl-as-Sunnah. Published by Umm al-Qura university Makkah, with research by Dr. Abdul-Qayyum al-Sindi. Arabic: (جنة النعيم في فضائل القرآن الكريم), Fazail of the Holy Quran, written in Safar 1134 AH. Persian: (وسيلة الغريب الى جناب الحبيب), Fazail of Ahl-e-Bait, completed on 29 Sha’aban 1164 AH. Sindhi translation, Urdu translation by Ghulam Mustafa Qasmi. Sindhi: (راحة المؤمنين), written in 1130 AH., first published in 1312 AH. with 56 pages, about the Fiqh matters of Zabihah and hunting. Latest edition with original text and modern Sindhi text was published in 2009, edited by Dr. Abdul Rasool Qadri. Sindhi: (قوت العاشقين) Miracles of the Prophet Muhammad (peace be upon him), written in poetry in 1127 AH. Persian: (ذريعة الوصول الى جناب الرسول), Seerah, completed 17 Rajab 1133 AH. This 62 page book is about Salah for the Prophet (Durood). Arabic: (التحفة المرغوبة في افضلية الدعاء بعد المكتوبة), written in 1168 AH. Arabic: (الوصية العاشمية), written in about 1174 AH. (مظهر الأنوار), written in 1125 AH. at an age of 21 years, this is an encyclopedic work in the Fiqh of Sawm (Roza) according to the Hanafi school. (بياض هاشمي), Arabic and Persian, his personal diary containing scholarly notes about Islamic sciences, Fiqh matters, etc. This is considered a masterpiece in itself, a huge collection of his notes about important scholarly issues in Fiqh, Hadith and other sciences. (شد النطاق فيما يلحق من الطلاق), written 6 Jamada al-Akhir 1133 AH. (السيف الجلي على ساب النبي), written 12 Sha’ban 1134 AH. (رد رسالة قرة العين في البكاء على الحسين), writte in 1134 AH. (نور العينين في اثبات الاشارة في التشهدين), written 12 Shawwal 1139 AH. (كشف الغطاء عما يحل و يحرم من النوح و البكاء), written in 1142 AH. (رفع الغطاء عن مسئلة جعل العمامة تحت الرداء), writen in 1146 AH. (كشف الرين عن مسئلة رفع اليدين), written 15 Jamada al-Akhir 1149 AH. (تحفة القاري بجمع المقاري), written in 1150 AH. (حصن المنوع عما اورد على من ادرج الحديث الموضوع), written in Rabi al-Thani 1153 AH. (تمام العانية في الفرق بين صريح الطلاق و الكناية), writte in 1156 AH. Published. (تحقيق المسلك في ثبوت اسلام الذمي في قوله للمسلم انا مثلك), completed 23 Sha’aban 1159 AH. (تصحيح المدرك في ثبوت اسلام الذمي بقوله انا مثلك), completed 13 Muharram 1160 AH. (النور المبين في جمع اسماء البدريين), completed 21 Zul-Qa’ad 1161 AH. (القول الأنور في حكم لبس الأحمر), completed 16 Zul-Hajj 1163 AH. (رفع النصب لتكثر التشهدات في صلواة المغرب), completed 11 Jamada al-Awwal 1164 AH. (الحجة القوية في حقيقة القطع بالأفضلية), completed 17 Sha’aban 1164 AH. (حياة القاري بأطراف صحيح البخاري), completed 7 Safar 1166 AH. (بذل القوة في حوادث سني النبوة), completed 4 Safar 1168 AH. (فتح العلي في حوادث سني نبوة النبي), writte in 1170 AH. (فتح الکلام في کيفية اسقاط الصلواة والصيام), Fiqh, completed 20 Shawwal 1133 AH. About Fidya of dead regarding Salah and Sawm. (رشف الزلال في في تحقيق في الزوال), Fiqh, completed 24 Shawwal 1133 AH. This is a short book about measurement of the time for Zawal in Sindh. (فتح القوي في نسب النبي), Seerah, written in 1133 AH. (زاد السفينة لسالکي المدينة), Seerah, written in 1133 AH. This is a 45 page book about the early history and blessed names of the illuminated city of Madinah. (تحفة الاخوان في منع شرب الدخان), Fiqh, completed on 11 Shawwal 1134 AH. About the prohibition and dangers of smoke and smoking. (فيض الغني في تقدير صاع النبي), also called (كشف السر عن تقدير صدقة الفطر), completed on 15 Rabi al-Thani 1137 AH. (جمع اليواقيت في تحقيق المواقيت), Fiqh, written in 1148 AH. (تحفة السالکين الى جناب الامين), Seerah, completed in Sha’aban 1158 AH. (تحفة المسلمين في تقدير مهور امهات المؤمنين), Seerah, completed on 6 Rajab 1174 AH. (قصيده يا سالڪا) is a 24 page Qasidah or Naat. (بناء الاسلام), Beliefs and Fiqh, completed 5 Zul-Hajj 1143 AH. (تفسير هاشمي), Tafsir, completed 17 Sha’aban 1162 AH. Makhdoom Hashim wrote around 200 books, many of whom are lost. But some of the remaining books apart from the above list are mentioned in his or other authors’ works, though they have not been traced. Some of them are or may be available in museums and libraries of Pakistan and India. Others have been lost completely. Following is a list of such names as found by the author of the biogrpahy Dr. Abdul-Rasool, which were not with him at the writing of the biography. It is a need of the time to preserve his existing writings by scanning the manuscripts so at least they do not get lost by time. (الشفاء الدائم عن اعتراض القائم), Arabic, written in 1142 AH. a letter of authority (Sanad) in the Naqshbandi tariqah given to his khalifa Sayyid Qasim bin Ali bin Muhammad Askafi. Also includes a short description of Azkar in the tariqah and a Manajat. (توثيق الاسباق في مسئلة الصداق), Arabic, written in Madinah in 1211 AH during I’tikaf in the Masjid-un-Nabi. 13 pages. (القول الرضي بتصحيح حديث الترمذي في فضل معاوية الصحابي), about the Sahabi Hazrat Muawiya. Published.